Our 1.5 hour sunrise cruise is ideal for watching the morning activity of the local birdlife. Being our coolest months of the year, the water temperature early in the morning is warmer than the air temperature so most of the crocodiles prefer to be in the water and not out on the bank. 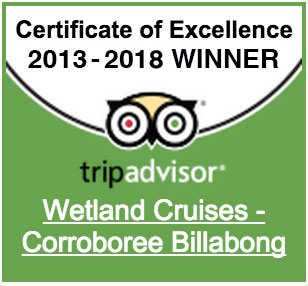 This cruise is therefore not the best choice for people wanting to see lots of crocodiles, but a fantastic cruise for people who wish to see lots of our spectacular birds and a beautiful sunrise over the wetlands. 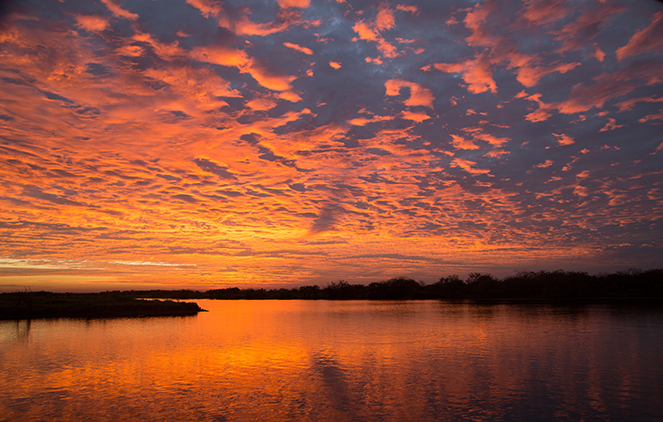 We are the only company in this region offering sunrise cruises to their customers. This cruise is also available as a " $30 OFF Package" with our 2.0 hour sunset cruise. Please see below for details.